When a job is triggered with a large number of parameters, the pending builds (in build history) will show all those parameters next to the build number. This makes the page very difficult to work on, requiring user to scroll horizontally a lot (even during configuration). An option that would allow user either to limit the string or the shown parameters for pending builds would be highly appreciated. I believe it's a feature implemented in jenkins' core. If it's a plugin please add appropriate component to this jira. Why open a new issue for the exact same problem? 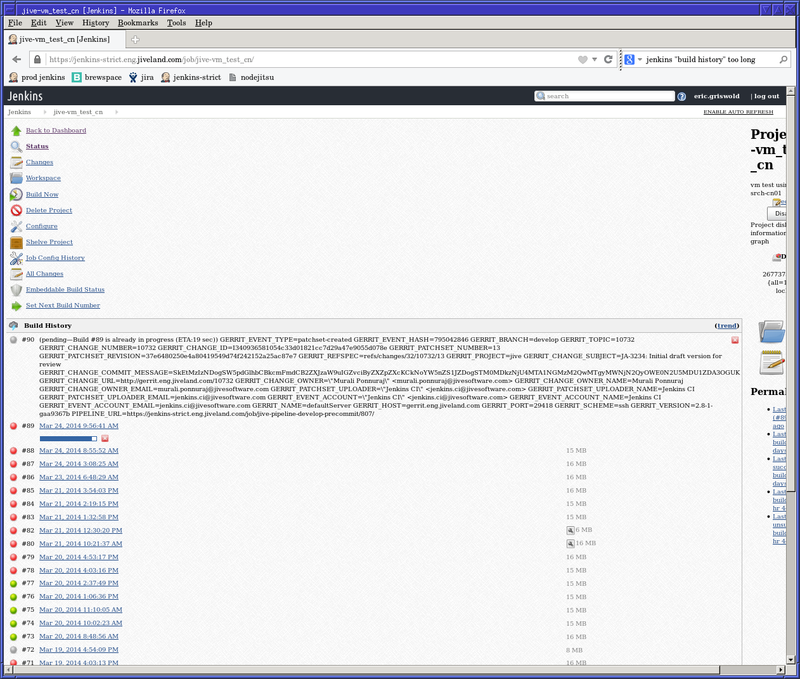 Daniel Beck added a comment - 2014-05-18 13:09 Duplicates JENKINS-22311 . Why open a new issue for the exact same problem?